Instead of a buying a present this year, one of my friends requested a batch of healthy breakfast muffins. She was flying out to Queensland for a holiday Christmas night and wanted to take some healthy food on the flight. On Christmas Eve I found myself awake at 4.30am and unable to sleep, so I got up and baked the muffins. I adapted a Martha Stewart recipe that we had both tried before and liked. I replaced the ground nutmeg with some mixed spice and cinnamon, and the raisins with dried cranberries (I thought the changes made them more Christmasy). I also used apple sauce instead of mashed banana. The house smelt lovely that morning and the muffins were very happily received a few hours later. I think I’ll bake myself some of these next time I’m flying anywhere. They are also great to have in the freezer for breakfast on the run. Later in the day, I was dropping off presents to another friend, who on hearing about the muffins exclaimed “We can request baked goods for presents?” I think I might be getting a few more requests next year. But that’s okay, as I’ve always liked giving gifts that I’ve made myself. And it was lovely to receive my handmade smart rider (train card) holder and bike riding garters (so I can ride my recently bought vintage looking bike while wearing a dress) from my friend. I know breakfast is important, but I struggle to eat first thing in the morning. It takes me a bit of time to wake up enough to want to eat. So I usually eat my breakfast at work. A few years ago, this meant picking up a muffin from the bakery on my way to work. Not really the best start to the day. These days I’m a lot more organised (and making an effort to be healthier), and will take in fruit, cereal or home-made (and healthier) muffins for my breakfast. A few years ago, I discovered the TV show Cook Yourself Thin. Two series of this show were filmed in the UK, with a different format each season. The general concept remained the same between the two series. Each episode focused on a person with weight issues and looked at their three (I think it was three) “downfall dishes”. Healthier, lower calorie dishes similar to the original were created as an alternative that could be cooked at home. I loved this show and I think it influenced what I try to do now, that is finding healthier alternatives to my favourites rather than cutting them out completely. 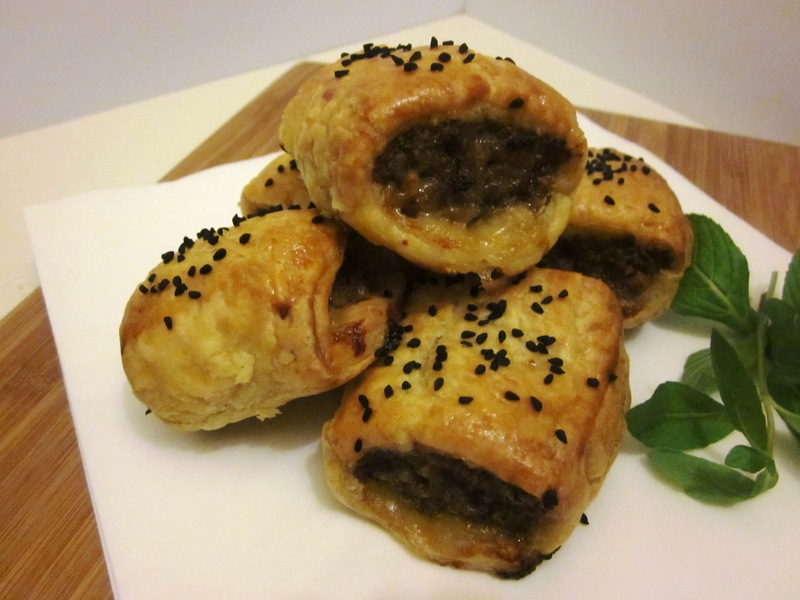 More recently the Hairy Bikers have done this with their book and TV series The Hairy Dieters, and I’ll cook something from their book soon (I of course bought the book as soon as I heard about it). I’m sure there are others out there as well that I haven’t discovered yet. If you know of any books or TV shows of a similar theme, please let me know. But back to Cook Yourself Thin. 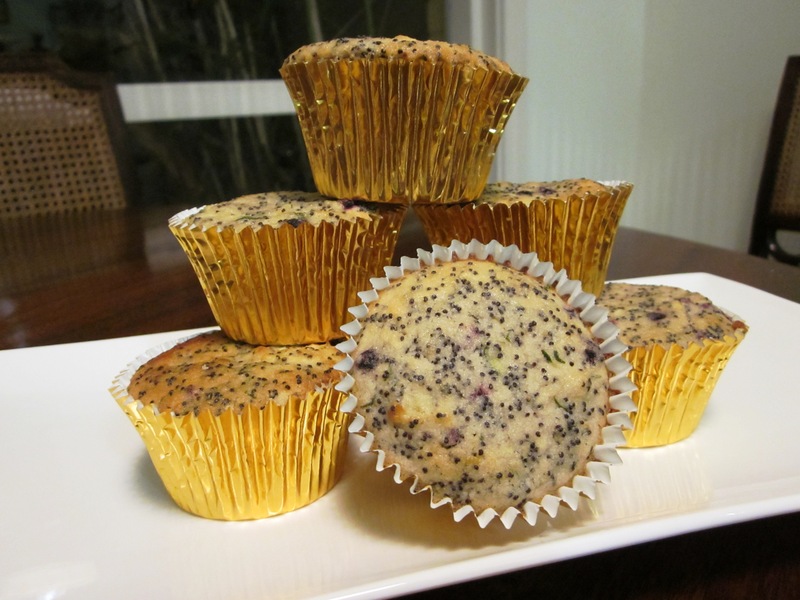 These Lemon, Berry and Poppyseed muffins were the first recipe I tried from the series and I’ve made them several times since. They have quite a few replacement ingredients in them. The rice flour and almond meal make them gluten free (if you use gluten free baking powder). Courgette is used in place of butter or oil for moisture (you can’t taste it, I promise) and buttermilk is used in place of milk. I actually had some whey in the fridge from the cheese course I attended and I tried that instead of butter milk. The result was great (I think it actually made them lighter than usual) so I will be using that again next time I have some in the house. I like to wrap them individually once cooled and then freeze most of them. That way, I always have some in the freezer in case I need to grab something on my way to work. Once I get to work, I warm it in the microwave (removing the foil cases first if I’ve used them) and that is a quick breakfast or snack sorted.